You’re running a business and need a utility but representative vehicle? No need to buy one, all you need is to come to our rental. For complete household or office moving use the spacious moving truck from our rentals fleet, including a driver and mover. Do you want to come to a business meeting in the proper car or take the family on vacation? Welcome to the site of our Prague car rental AUTONEMAM.CZ. We are not focus only for rental of vans and utility cars, but we also have many passenger cars in the offer. As car rental company we have been operating on the market for 12 years and our rich experience are appreciated in wide range of additional services. We care not only to the needs of our customers, we also emphasize the perfect state of our fleet, which includes all types of vehicles of world brands. We always have the right vehicle for everyone. Store locations and contact details. Full cover your financial liability for all damages of the vehicle including towing and replacement car. 24 hours of roadside assistance including towing and a spare vehicle in the event of an accidents. You can leave your own car in our guarded car park. We'll take good care of it! Anyone can choose from our car fleet! We offer a wide range of vans and utility vehicles, and as we take good care of our cars, you can be sure to get first class quality every time. We can also rent you a TomTom GPS navigator for a bargain price. Have you had a bad experience with other car rentals? No need to worry with us! You can find final rental rates on our pricing page. No need to worry about hidden expenses. At Autonemam, we guarantee our prices! 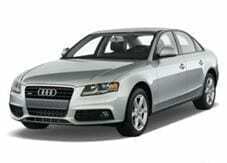 Audi A4 sedan 2.0 TDI, rent a business class at a cost of economy! 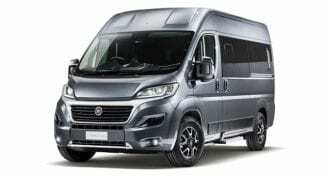 The new luxury minibus equipped seats and air-conditione with individual setting for every passenger. Parking camera will help you to park easily. A powerful diesel engine (150PS) ensures comfort for travel.